Inserting and placing Adsense ads properly becomes heck necessary if you want to provide a good user experience to your visitors and maximize your earnings. 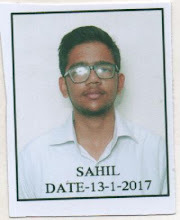 With proper placement of Adsense ads, you can increase CTR (click-Through rate) and Hence more CTR will help you get more earnings in your Adsense account. 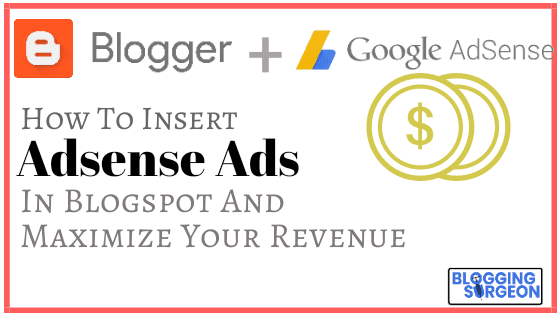 In this guide, we will tell you the Best way to place Adsense ads at your Blogspot (Blogger) Blog and maximize your earnings. In auto ads, you just need to place a piece of code once in your website and later ads will be automatically adjusted at the best positions. Basically auto ads are based on Machine learning. I never refer anyone to use auto ads because in most of the cases, auto ads mess up the site and kill the user experience because they start showing ads at every empty space which looks too ugly. Still If you want to give it a try, you can follow this method to place Adsense auto ads in your Blogspot (Blogger) Blog. Step 1: Log in to your Adsense account. You can enable all the above four options. There are two more options like Anchor ads and Vignette ads. You can enable them but we donot refer it because these are screen overlay ads and I personally found them bit disturbing. Step 5: You need to copy this code and then login to your Blogger (Blogspot) dashboard. There you need to go to the Theme Option and then select the Edit HTML option. If you do not find </head>, try to find out <head> and place the code exactly below it and then click on Save theme option. 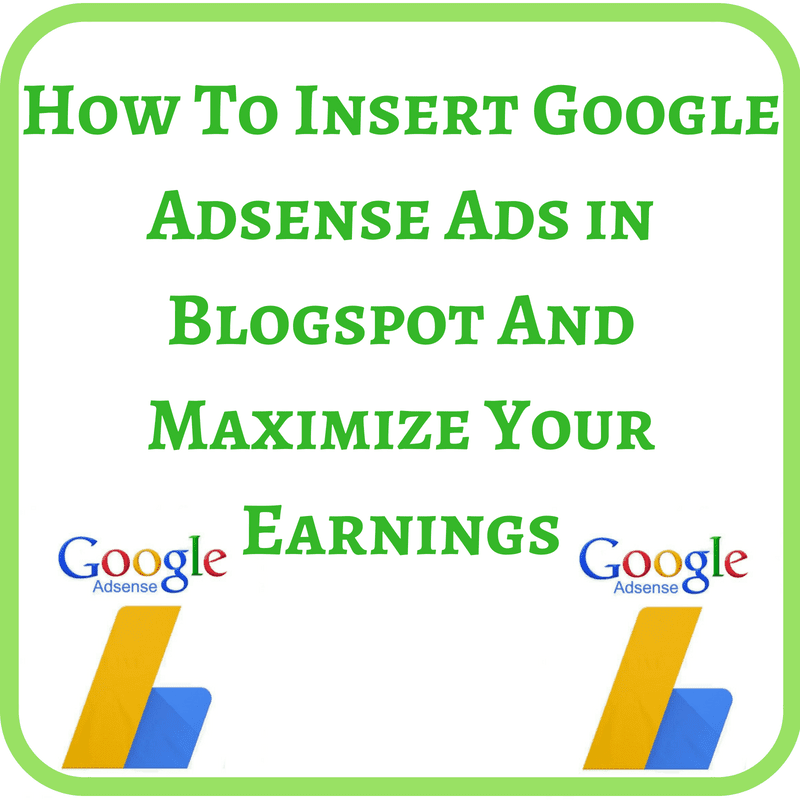 This is the recommended method for placing Adsense ads in Blogspot Blog. Placing Adsense ads manually comes with its own benefits. You can place the Adsense ads at your preferred locations. Though this approach is time consuming but its better than auto ads. You can optimize colour, text, borders etc. of Manual created Adsense ads unit which gives you opportunity to optimize in a better way. Step 1: Login to your Adsense account and click on My Ads option. Step 3: Later Google will ask you what type of Adsense ad unit you want to create. Basically, If you select Text and Display ads, you can create ad unit which seamlessly fit everywhere. In-feed ads are specially for placing inside feeds. For e.g. If you have a list of articles shown at a page, you can show In-feed ads between them. In-Article ads are specifically designed for adding inside articles i.e. Inside your content. Do note, even the adsense ad unit made in Text and Display ads can also be added between content and articles. So generally, we will take example of them in this case. So you need to select the Text and Display ads option. Step 4: You can name the Adsense ads unit. You can choose any name you like because name does not appears anywhere at your website nor at your ads. After that, you need to choose size. You can choose Responsive automatic size if you are not clear with your exact requirement of ad units. Step 5: In the ad type option, select the type of ads you want to show. We recommend using Text and Display ads for showing in the sidebars and headers and Display ads only for showing inside content. After that you can select the text ad style and click on Save and Get code option. Step 6: You need to copy this code and then you need to log in to your Blogger Dashboard. If you want to show ads in the Blogspot sidebar or header or footer area, click on the Layout option in your Blogger dashboard. There go to the area where you want to add the ads. That's it. Using this method you can add Adsense ads unit in your Blogspot Blog's sidebar, footer, header areas. If you want to show ads in between your posts and articles at Blogspot, just open the post in which you want to show ads, go to the html section of the post and paste the code where you want to show the ad. This is bit time consuming but I prefer it as I can show ads where I want. This method is simple and works like charm. All you need to do is Log in to your Blogspot dashboard >> Go to layout >> Select the are where you want to show ads >> Click on Add widget >> Select Adsense widget and place the ads. In this way you can insert adsense ads in your Blogspot (Blogger) Blog and earn money.